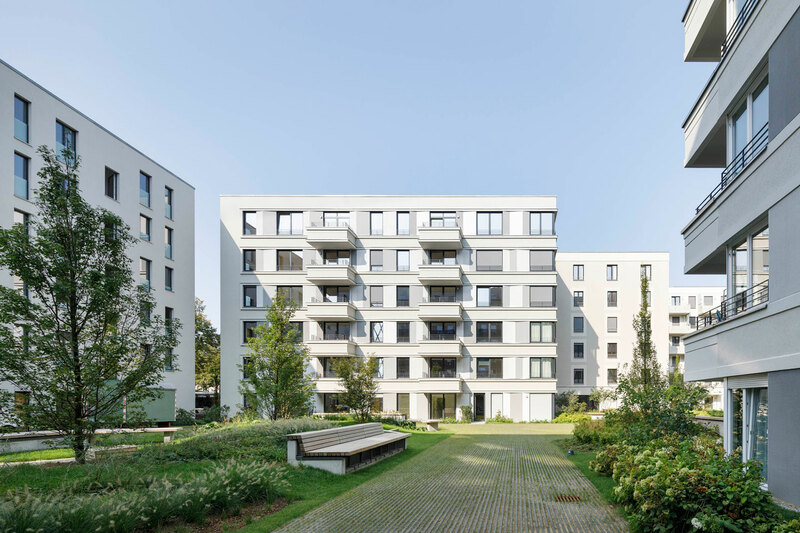 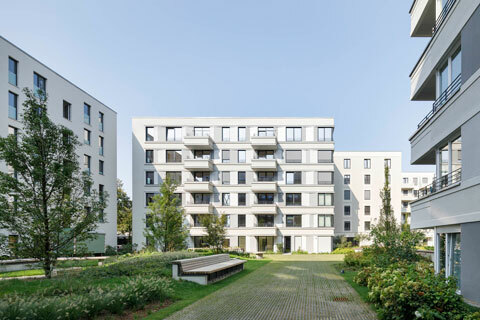 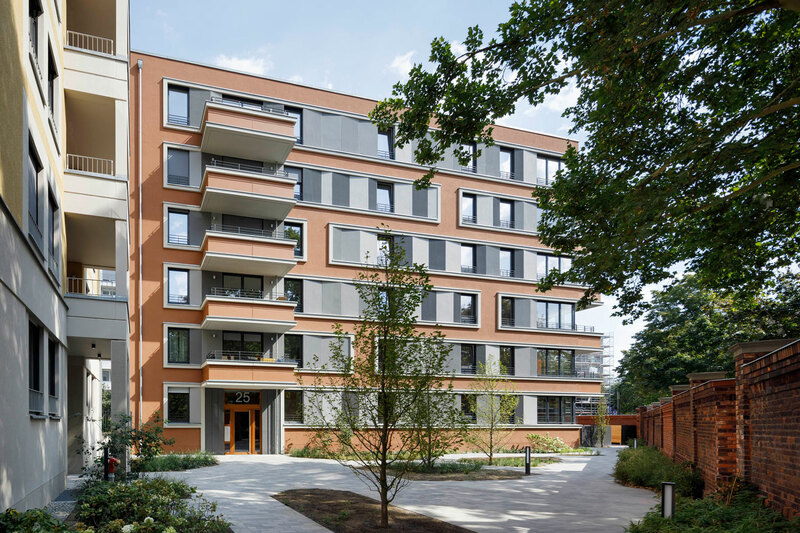 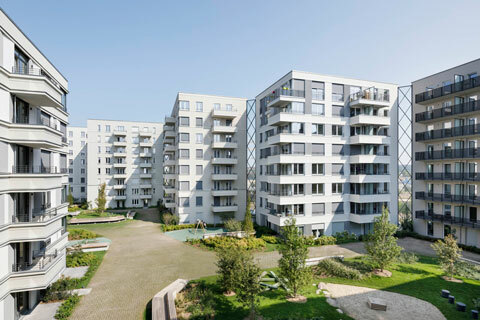 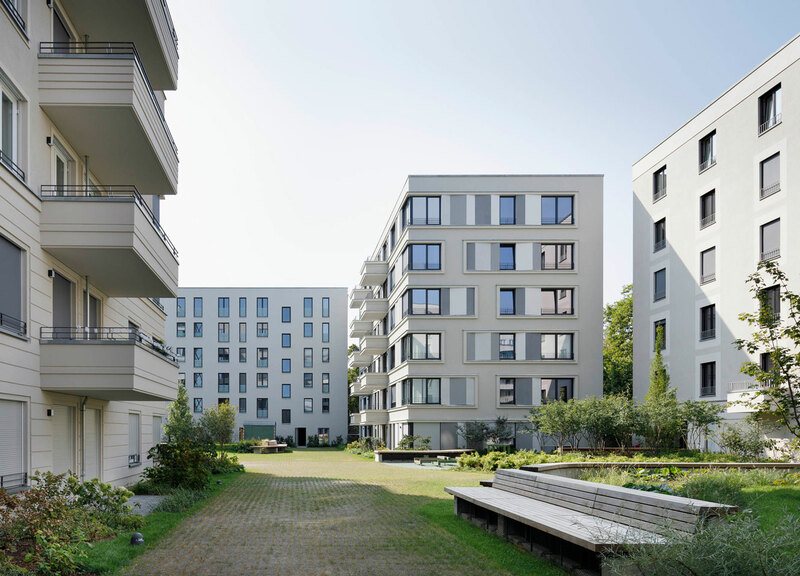 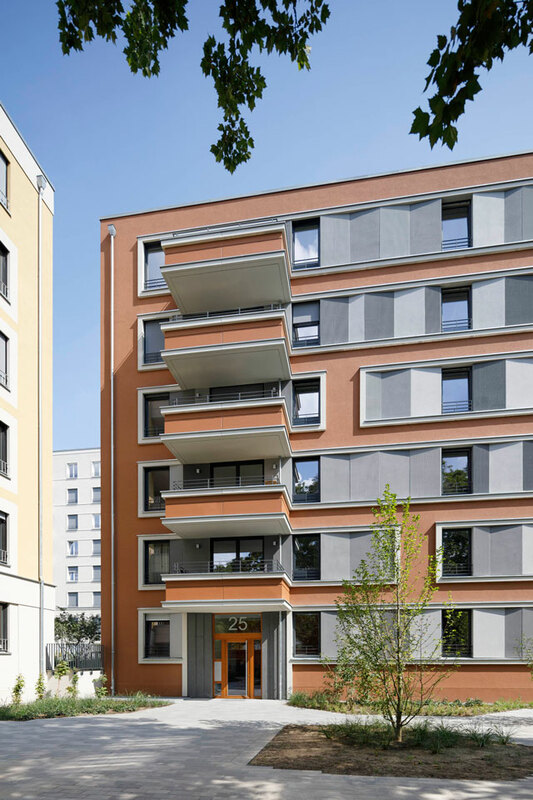 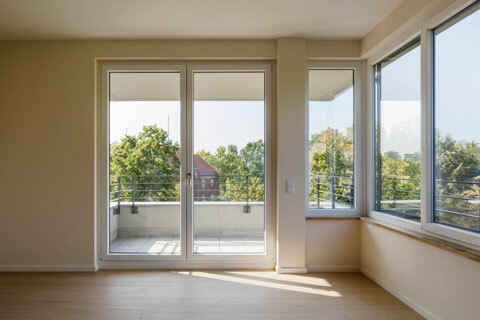 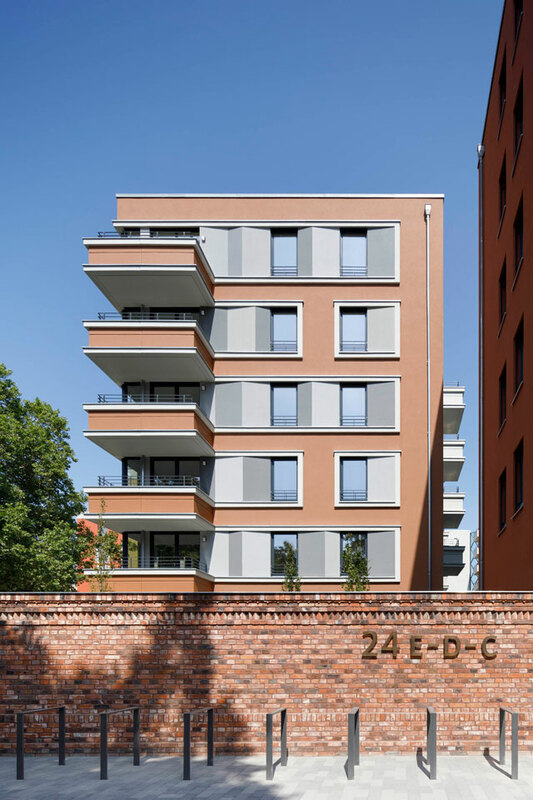 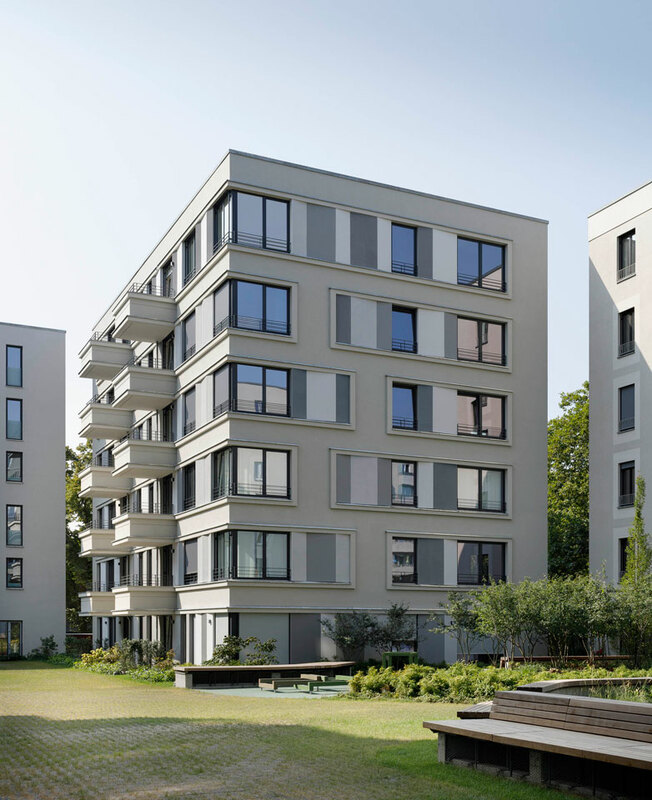 This new construction project of 23 residential buildings is situated only a few steps from the main railway station in Berlin in the midst of a large-sized urban development area around the Lehrter Straße. 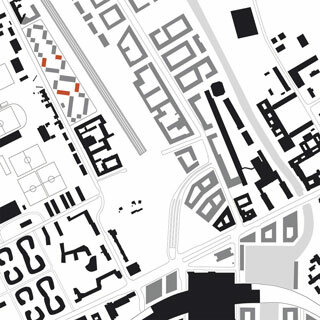 Eight architectural offices participate in this urban workshop procedure on a 38.000 sqm big parcel. 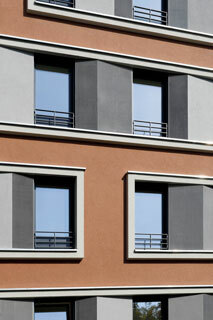 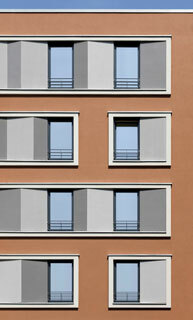 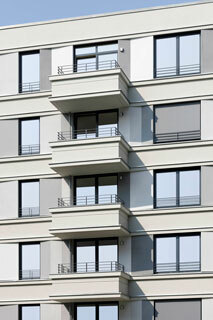 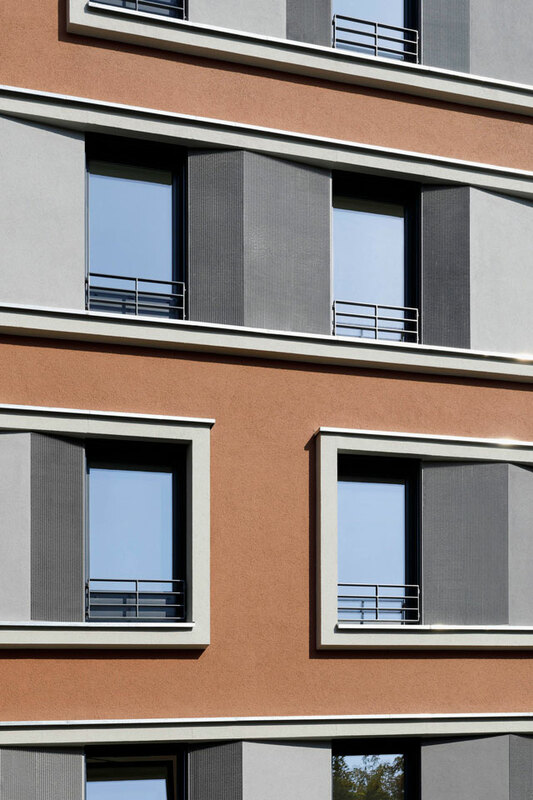 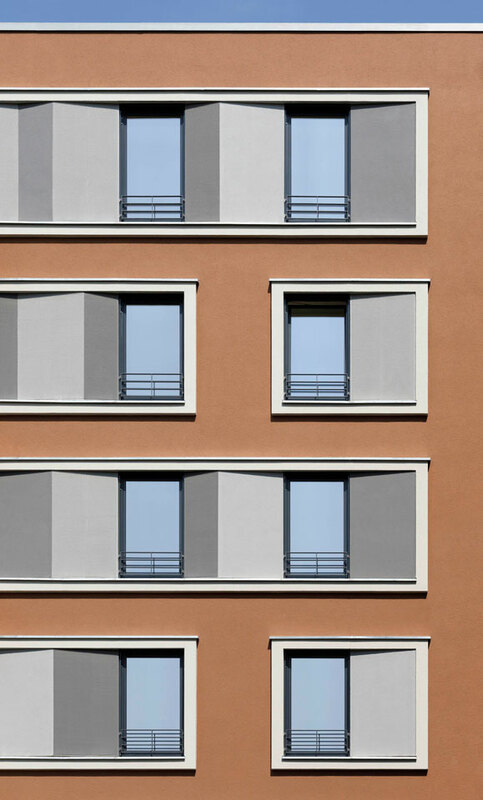 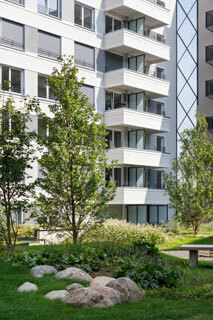 Two residential buildings are designed by Tchoban Voss Architekten . 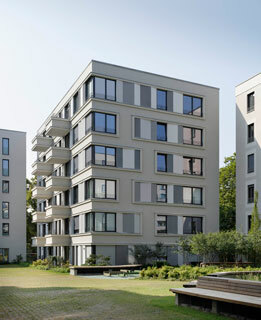 Both volumes with six and eight storeys fit into the sharp-angled grid of the whole ensemble, which is oriented in the north-south axis. 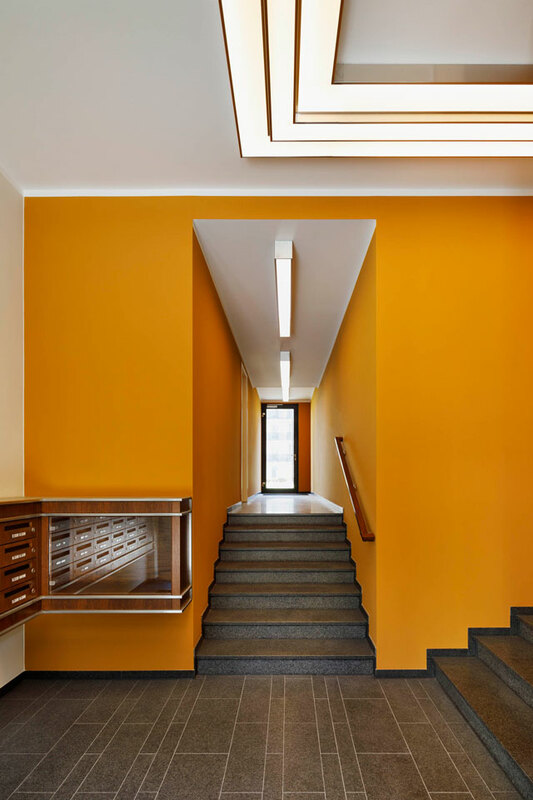 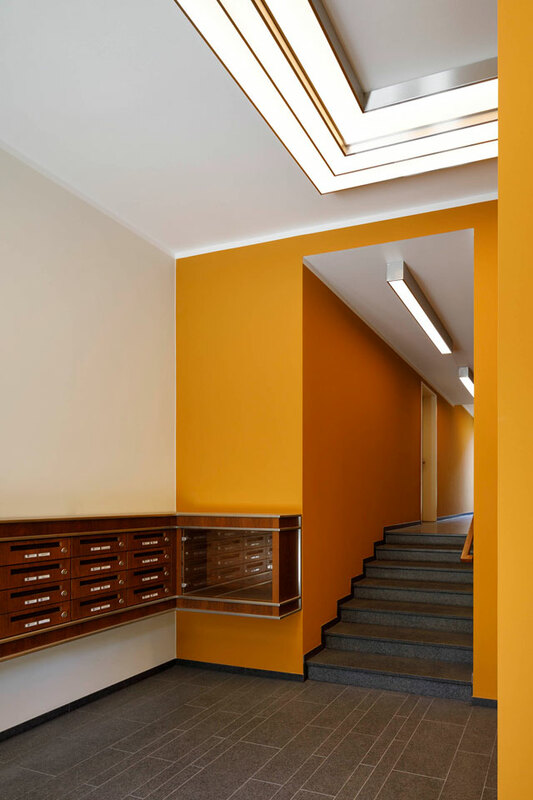 Their modest appearance, reduced to a few distinctive details, and bright colouring are both underlining the calm residential character of the complex. 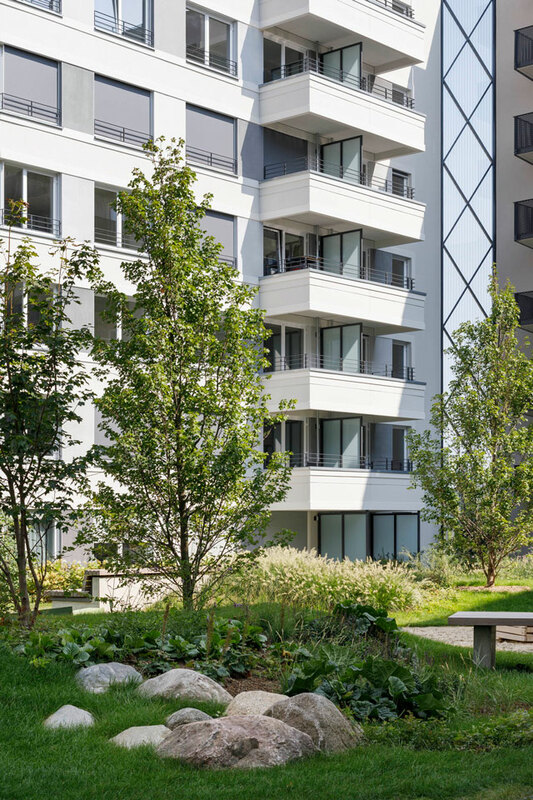 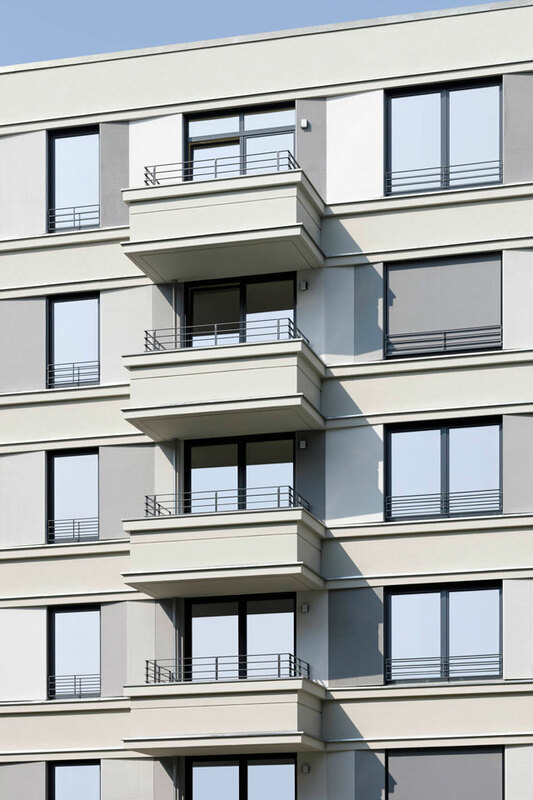 All apartments are equipped with large-sized balconies providing the future residents a possibility to relax in a green surrounding without leaving their homes. 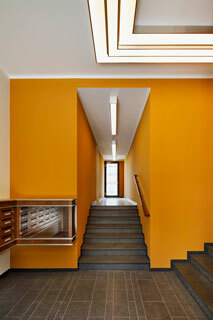 All entrance areas are wheelchair accessible.